September 29, 2018―The Yamaha Factory Racing Team will enter Round 9 of the 2018 All Japan Road Race Championship, the 50th MFJGP at Suzuka Circuit in Mie Prefecture on November 3–4 with riders Katsuyuki Nakasuga and Kohta Nozane riding machines sporting special red and white coloring commemorating the YZF-R1’s 20th anniversary. 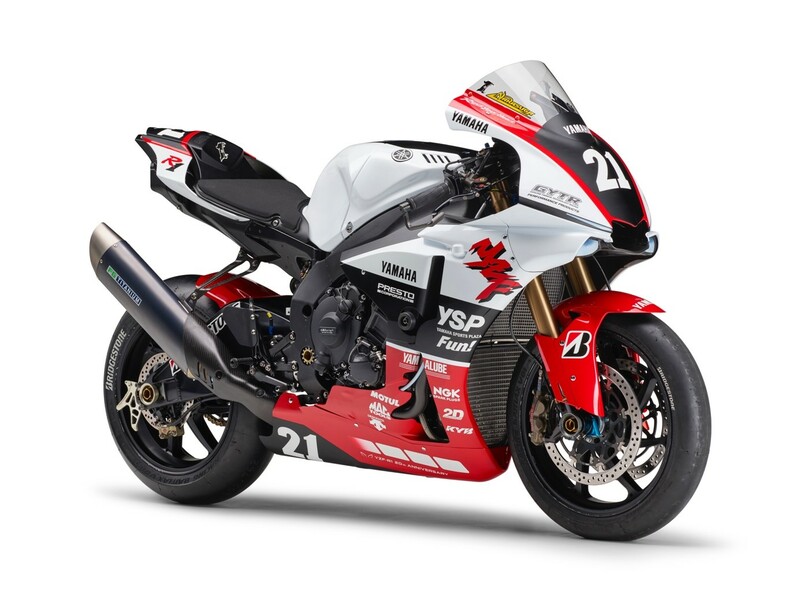 The Yamaha Factory Racing Team has competed the 2018 All Japan Road Race Championship from the opening round using a blue-based YZF-R1 bearing the “YZF” and “R1” logos of the first-generation R1 together with a special commemorative 20th anniversary logo. Later, the team entered the Suzuka 8 Hours Endurance Race and took a fourth consecutive win with a YZF-R1 sporting a special red and white livery. In the MFJGP, Nakasuga and Nozane will be competing for finishes worthy of the YZF-R1’s 20th anniversary on it.